Despite the win against KXIP, RCB stay at the bottom of the points table and need to win all their remaining league games to have any hopes of progressing ahead. 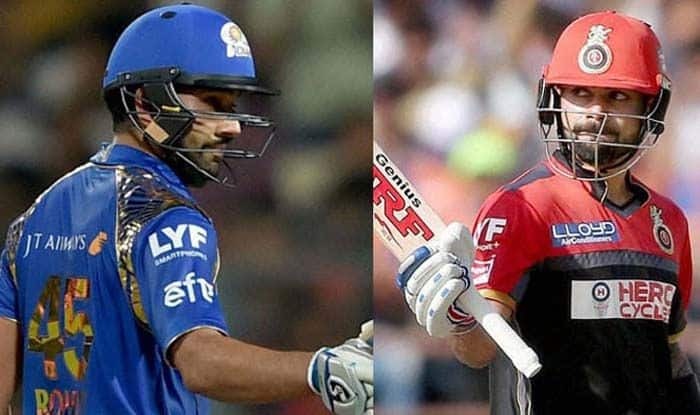 Fresh from a much-awaited victory, Royal Challengers Bangalore will be aiming to maintain winning momentum and spoil Mumbai Indians’ party when the two sides face-off in the Indian Premier League (IPL) on Monday. After a string of losses where nothing worked in their favour, fifties by skipper Virat Kohli and ever-reliable Ab de Villiers, helped RCB register their maiden win of the season on Saturday night. The team is heavily reliant on Kohli and de Villiers and both would be keen to recreate their magic in front of a capacity crowd in Mumbai, on a day when the Indian team for the upcoming World Cup is scheduled to be picked. Despite the win against KXIP, RCB remain at the bottom of the points table and remain to win all their remaining league games to have any hopes of progressing in the tournament. Apart from Kohli (270 runs from 7 matches) and ABD (232 runs from 7 matches), RCB’s other strength has been the pint-sized wicket-keeper batsman Parthiv Patel. Despite his father being in the ICU, Patel has shown commitment and amassed 191 runs in seven games. The others Ishan Kishan, Surya Kumar Yadav (154 runs), Kieron Pollard (185 runs) and Krunal Pandya (92 runs) need to be consistent with the bat. The bowlers would want to forget the hammering by Englishman Jos Buttler and come up fresh. Also, a word on West Indian pacer Alzarri Joseph, who sustained a shoulder injury while fielding in the last game, is awaited from the team management. Mumbai Indians – Rohit Sharma (C), Quinton de Kock (WK), Suryakumar Yadav, Yuvraj Singh, Kieron Pollard, Hardik Pandya, Krunal Pandya, Mitchell McClenaghan, Jason Behrendorff, Mayank Markande, Rahul Chahar, Jasprit Bumrah, Alzarri Joseph, Anmolpreet Singh, Siddhesh Lad, Ankul Roy, Evin Lewis, Pankaj Jaiswal, Ben Cutting, Ishan Kishan, Aditya Tare, Rasikh Salam, Barinder Sran, Jayant Yadav. Royal Challengers Bangalore – Virat Kohli (C), Parthiv Patel, AB de Villiers, Colin de Grandhomme, Umesh Yadav, Yuzvendra Chahal, Moeen Ali, Shimron Hetmyer, Shivam Dube, Mohammed Siraj, Navdeep Saini, Devdutt Padikkal, Himmat Singh, Milind Kumar, Gurkeerat Singh Mann, Heinrich Klaasen, Pawan Negi, Washington Sundar, Akshdeep Nath, Prayas Barman, Kulwant Khejroliya, Tim Southee and Dale Steyn.